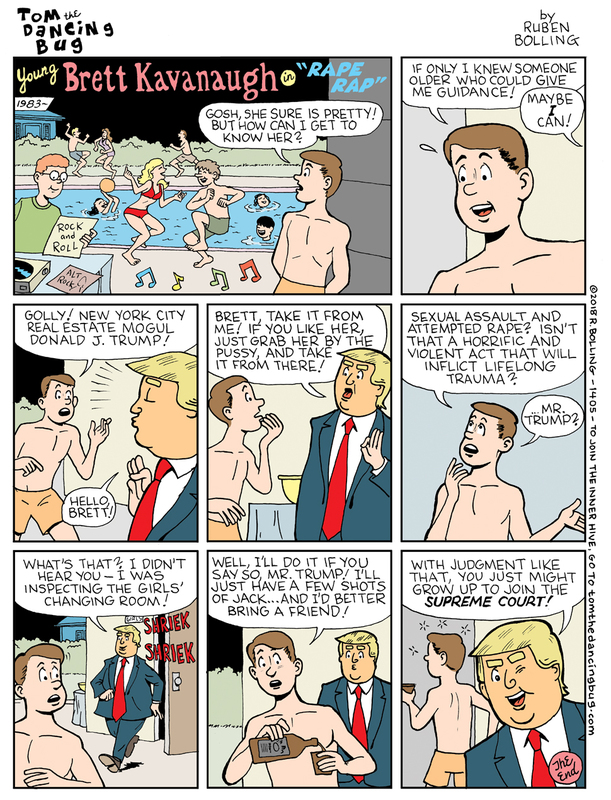 Tom the Dancing Bug, IN WHICH teen Brett Kavanaugh is given girl advice in 1983 from his hero, New York real estate mogul Donald J. Trump. YOU can get every Tom the Dancing Bug comic at least a day before it's published. Join the INNER HIVE for exclusive early access to comics, exclusive commentary, extra comics, and etc.! GET Ruben Bolling’s new hit book series for kids, The EMU Club Adventures. Book One here. Book Two here.